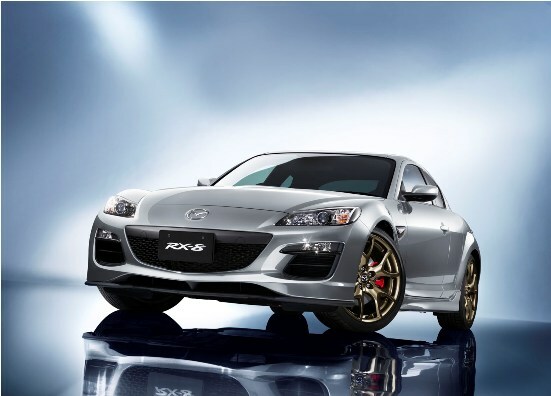 Named after the final limited edition Mazda RX-7, Mazda will be commemorating the end of the Rx-8 with a final special edition model, Spirit R, that will go on sale in Japan only on November 24th of this year. The manual version of the Mazda RX-8 Spirit R is based on the RX-8 Type RS and the a six-speed automatic will be modeled after the Type E.
Both of the new models will feature an exclusive SPIRIT R badge, black bezels for exterior lighting, red front and rear brake calipers, and a piano-black transmission tunnel trim. 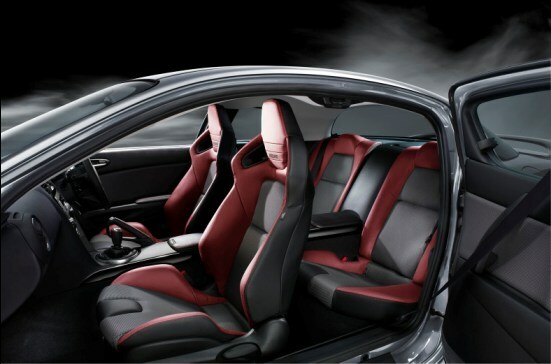 The manual transmission will also include special bucket seats from Recaro and bronze 19” alloy wheels with 225/40R19 tires whereas the automatic will feature black leather seats, steering wheel and parking brake lever that feature red stitching, a sports suspension, larger brakes, and Gun-metal finish 18” alloy wheels with 225/45R18 tires. “Although RX-8 production is ending, the rotary engine will always represent the spirit of Mazda and Mazda remains committed to its ongoing development.” Said Takashi Yamanouchi, Mazda’s Representative Director, Chairman of the Board, President and CEO, in a press release from Mazda, giving glimmer of hope for rotary fans that development for the RX-7’s successor is still on the table at Mazda headquarters. 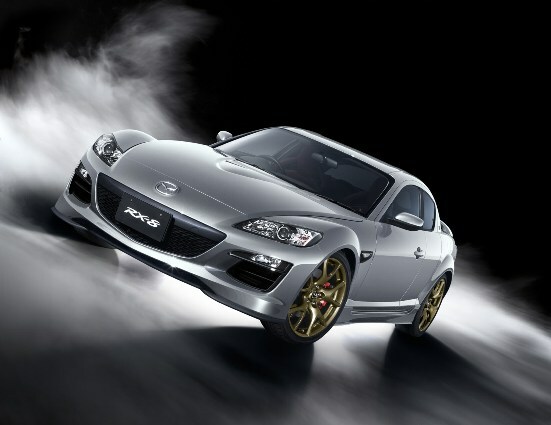 Mazda expects to sell 1,000 units of the limited edition model before the Mazda RX-8 production ends in June of 2012. Prices start at $40,675 with the six-speed automatic transmission and $42,400 with the six-speed manual.